For more than 25 years, Christopher Myers – owner of Myers Automotive — has been helping to keep families safely on the road. Christopher first became ASE Certified at the age of 18 and has brought his care and commitment to his own shop in 2009. Since then, Myers has added three more locations and now services East Wichita, West Wichita, Derby, and Andover! 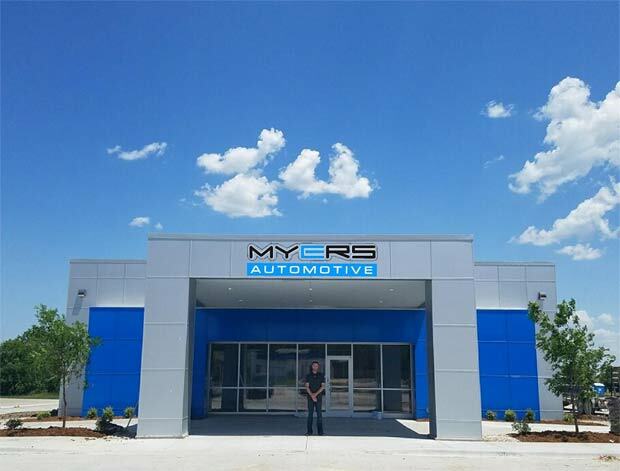 At Myers Automotive, we warranty all of our work to give you peace of mind on every repair – 12 months, 12,000 miles on both parts AND labor nationwide! We hope you’ll never need to use that warranty, but in the event a part breaks, it’s good to know you have somebody who will take care of your family, no matter where you are. From headlight to taillights and everything between, no job is to big or too small for Myers Automotive. We service all makes and models of Domestic and Import vehicles with ASE-Certified technicians, quality parts, and state-of-the-art tools and equipment. Make an appointment today – call us at 316-688-0047, or click here to make an appointment online!